EAGLE-eyed residents will have spotted a series of vibrant artworks sprouting up across Inverell over the past weeks, transforming large steel cabinets for the NBN network in to eye-catching works of art. 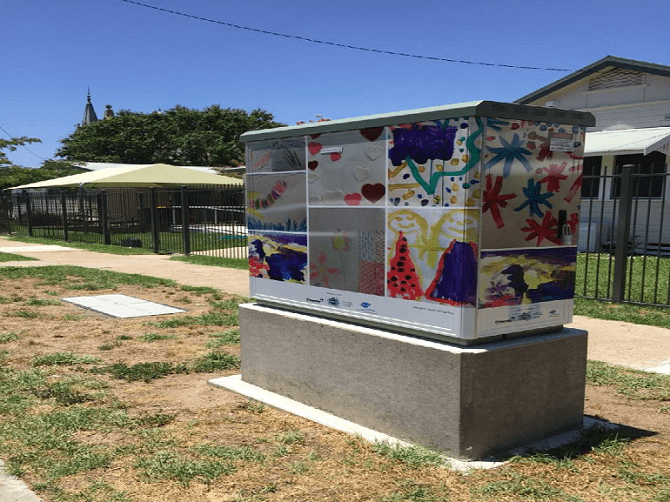 In total, six cabinets throughout Inverell CBD and residential areas will receive an artistic touch, known as node-wrapping, courtesy of well known local artists and budding creative children. 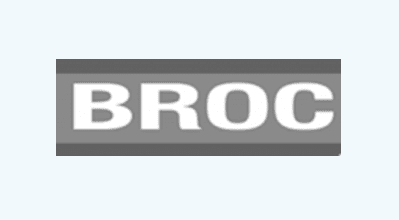 The installation of the artworks is a joint initiative of NBN network installers Downer EDI and Inverell Shire Council and involves transferring original paintings onto a heavy duty wrap, which is then applied to each node by a local company. The idea of wrapping nodes was first raised years ago as a possible way of combating graffiti of fibre distribution hubs in the NBN rollout. Following successful trials in the Northern Territory, the concept has become popular among residents and councils alike. Mayor Paul Harmon says in late 2017, Downer EDI approached Council about the possibility of displaying the works of local artists on their cabinets or NBN nodes. “Inverell Shire Council saw this as a wonderful opportunity to engage local artists to showcase their skills and Council was very supportive of the idea that we could transform these cabinets into an artist’s canvas”. With the help of Council’s Public Art Sunset Committee and Jo Williams, Manager of Inverell Art Gallery, six artworks were chosen to feature as wraps on NBN cabinets throughout Inverell. The collection features a brightly coloured palette and original works by experienced artists through to preschool-aged children. Nadia Kliendanze’s artwork ‘Kingsplains’ is featured at 40 Ring Street. Image: Jack and Jill Preschool’s in Rivers Street is one of 6 sites to receive a pop of colour.